Study Ranks Forest Glen # 2 Neighborhood in Maryland! Are you sitting down? A recent ranking by Niche’s 2016 Best Places to Live suggests that Forest Glen is the 2nd best place to live in all of Maryland and 24th in the United States. With an overall Niche grade of “A+” the Niche website goes into great detail on how they rank some of the most desireable neighborhoods in Maryland and elsewhere in the country. Among the top 10 list in our area include the usual suspects (at number 1 – North Bethesda, with Columbia, Kensington, Chevy Chase, Potomac and Rockville making the list). So why is Forest Glen’s ranking so high? Like any ranking or study, the details are in the methodology. 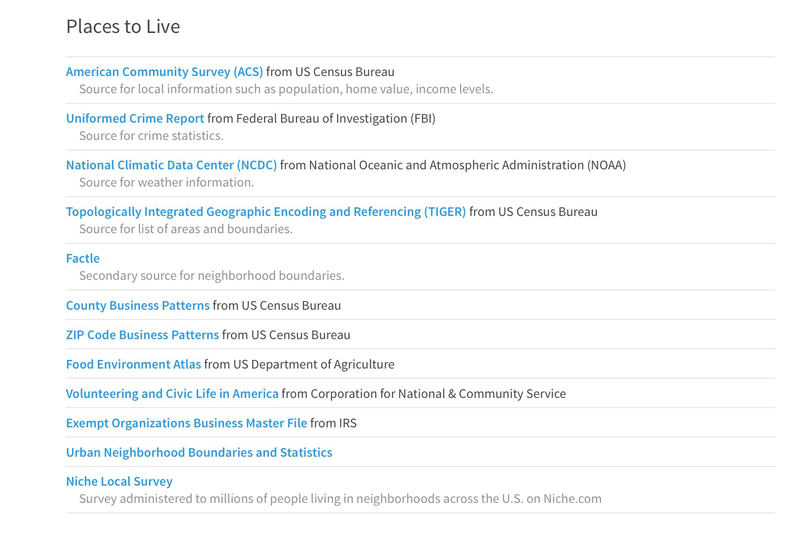 Niche’s ranking system gives a higher weight to cost of living, education grade (residents who have a bachelor’s degree or higher), public schools grade, and a real estate grade (measuring the overall strength of an area’s market). All four of these categories are further broken down by specific criteria and account for 45% of an area’s overall grade. The next set of categories include a diversity grade, health & fitness grade, nightlife grade and shortest commute grade (all accounting for 30% of the ranking). For instance, a close review of Forest Glen’s ranking shows a grade of “A+” for night life. We all know that Forest Glen has basically zero night life (minus the local Pacci’s) but the grade is based on accessibility to night life venues – which is pretty high given the access to metro and to other cities that have vibrant night life areas. 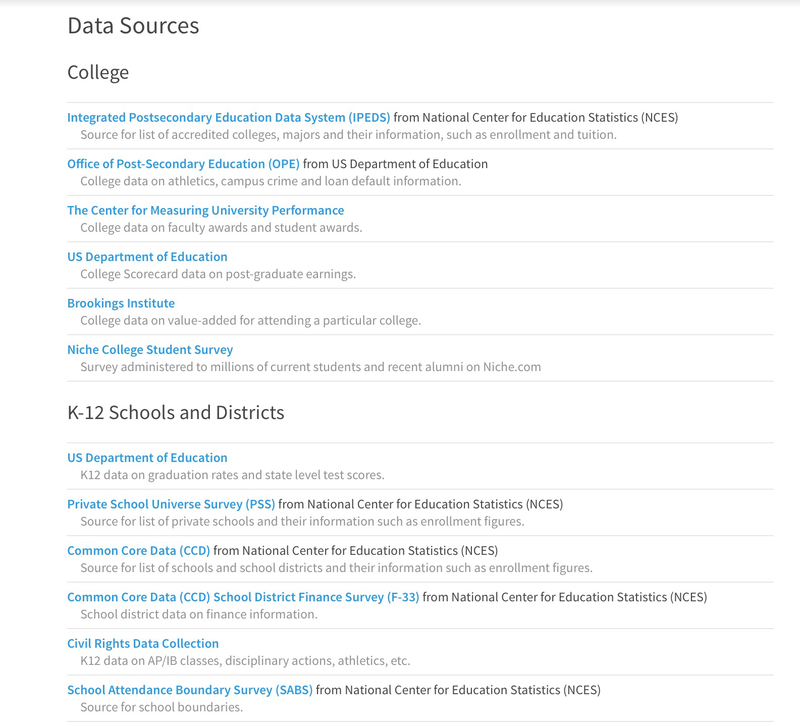 Unlike other ranking sites that have limited data sources when calculating their rankings, according to their website, Niche utilizes almost 24 data sources including federal data sources like U.S. Department of Education data and information from think tanks like the Brookings Institute. One of the reasons why Forest Glen scores so high on Niche’s ranking system is its convenient location. 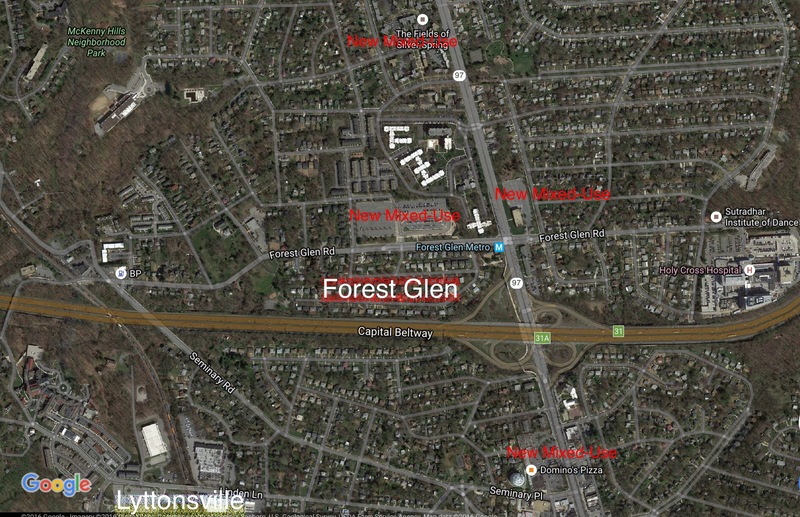 Not only is Forest Glen steps away from a Red Line Metro Station, but it is right next to an I-495 exit, Rock Creek Parkway, Sligo Parkway and about a mile to the Washington D.C. border through major roads like Georgia Ave. and 16th St.
Forest Glen also benefits from having a major regional hospital within its borders as well as enjoying a 1-mile proximity to hundreds of restaurants, retail and businesses in both downtown Wheaton and Silver Spring. When you think of the traditional “desirable”schools in the county, areas like Bethesda and Chevy Chase come to mind due to the local reputation of the “W” schools (Walt Whitman, Walter Johnson, Winston Churchill). 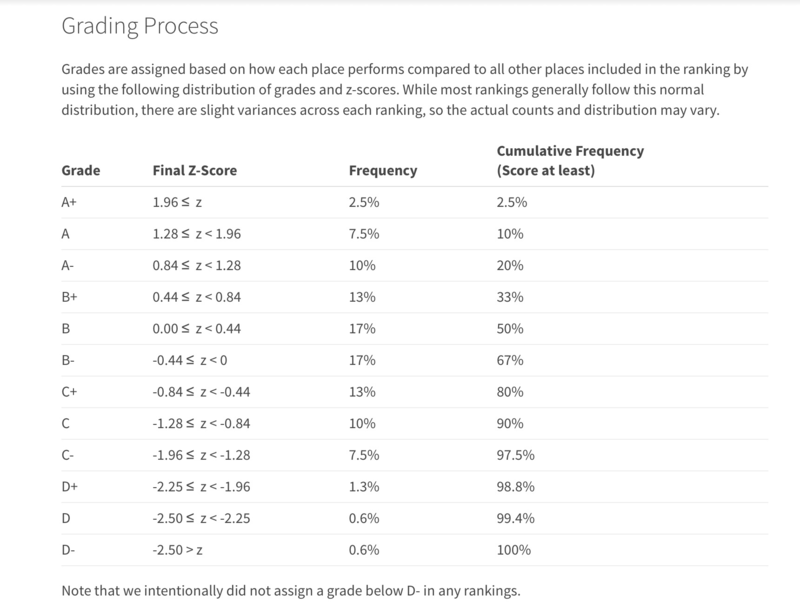 Ranking sites like Great Schools, a primary real estate school tracking tool, create even more disparity between the “desirable” schools and the “average” schools by comparing schools in close proximity and using a ranking system that would suggest an even greater difference in a student’s education experience. For instance, most Bethesda/Chevy Chase schools are rated as a 9 or 10 in the Great Schools model while many Silver Spring “good” schools are often rated between a 4-7. A good example of this is the Great Schools rating of a Forest Glen feeder school, Albert Einstein High School. Great Schools rates this school as a 5 out of 10 (the methodology states that a school between 4-7 is considered average) – while the Niche rating gives the high school an “A-” rating based on its overall graduation rate, performance and academic data, diversity, and substantial personal reviews as compared to high schools across the country. All of this being said, rankings and ratings mean little for any neighborhood. What makes a neighborhood a great place to live is completely relative and depends on an individual and what they value as important for everyday living. And like other ranking sites, you can probably find another methodology that has a completely different take on a particular neighborhood. In the meantime, Forest Glen enjoy your moment of glory while it lasts. We know it’s a wonderful place to live, but there is still a lot of room for improvement and a ton of work that needs to be done. 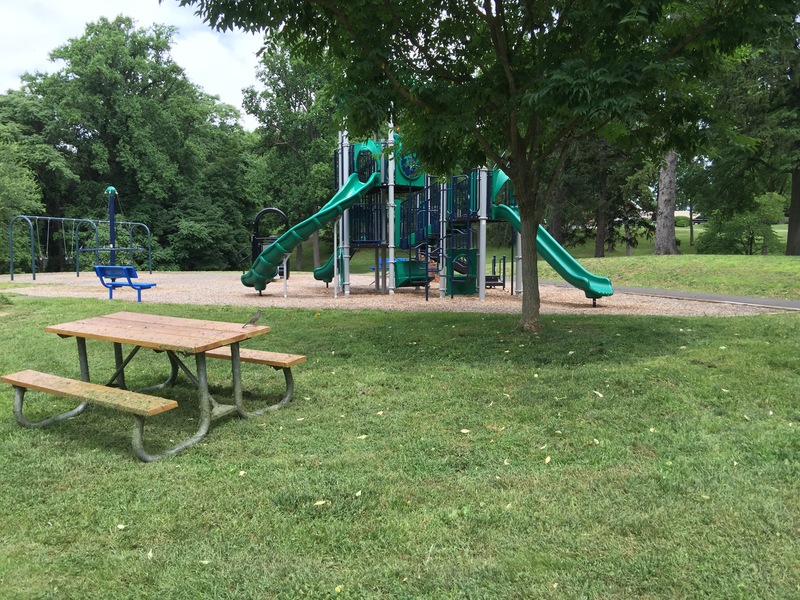 Forest Glen Park gets new Picnic Tables! 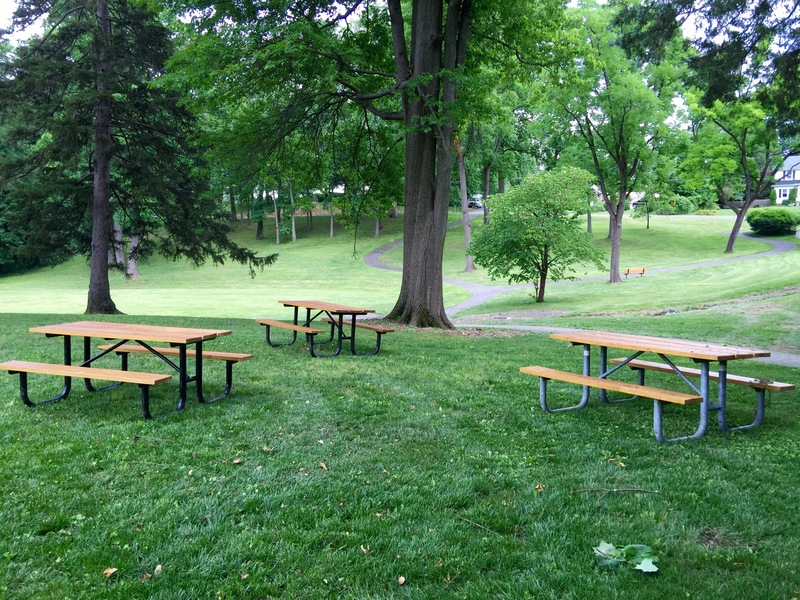 After months of coordinating with Montgomery Parks, the Forest Glen Park received 4 beautiful picnic tables for the community. Let the summer fun begin! To add yourself to the distribution list please email Forestglen.neighbors101@gmail.com. Also if you are interested in running for any of the below positions – please email us with your full name, address and position desired. There will be 3 minutes allocated for each candidate’s speech. Forest Glen Tunnel Petition Surpasses 500 Signatures! Thank you for all of your support and for bringing a voice to a very important issue! If you haven’t already signed or want to share our petition to make Forest Glen SAFER – please do today! Forest Glen and Lyttonsville share some common history, but they’re also on the path to a shared future. With Forest Glen being the subject of redevelopment and a sector plan review coming soon, Lyttonsville is also on track to complete its own sector plan review this summer with Purple Line construction starting later this year. As these two neighborhoods evolve and change – how they impact each other, their surrounding areas, and their overall contribution to traffic and transportation represents a larger idea that no neighborhood is a self enclosed bubble. Neighborhoods are in fact connected in many different ways despite our official sector “boundaries.” Our seemingly local issues affect our surroundings in often under appreciated ways that only become apparent many years later. 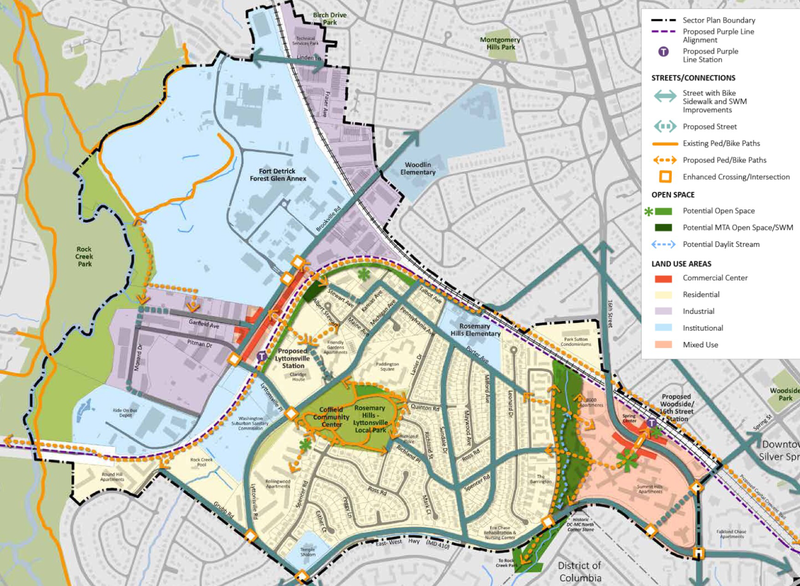 With Lyttonsville’s sector plan shaping up to be the first Purple Line neighborhood to be reviewed by MoCo since Governor Hogan’s announcement, a lot is at stake on how the community grows and comes together to support smart growth for generations to come. In the next 5 years, Forest Glen and Lyttonsville are set to see some substantial changes to their neighborhood scape. With Forest Glen abutting Lyttonsville, both neighborhoods will share two Purple Line stops, a Red Line station and over 6 potential new mixed-use development sites – all within a 2 mile radius. An 8-acre station parking lot site ripe for development. Other potential redevelopment areas such as the Forest Glen Medical Center, Seminary Place shopping center and surrounding garden apartment sites could transform into substantial mixed-use areas while retaining the fabric of the community. 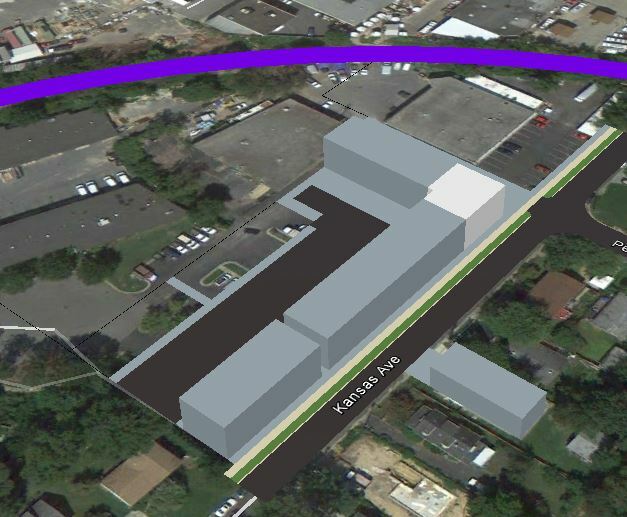 Lyttonsville Purple Line Station (Brookeville Rd) with medium scaled mixed-use development. Woodside Purple Line Station at the Spring Center (large commercial/residential site known as Metro Plaza). Image courtesy of the Maryland Transit Administration. Generally speaking, it is very rare for a community to have an opportunity to get both a transit station and transit oriented development. It is also unusual for a residential neighborhood to have significant land dedicated to industrial use inside the Capital Beltway. With this unique set of circumstances, Lyttonsville’s challenge going forward is to recognize this development opportunity while balancing the important industrial heritage of the area. With many residents and local businesses emphasizing the need to retain the industrial nature of the community, there is no reason why the two concepts cannot coexist. Specifically, there exists an opportunity for redevelopment in the vicinity of the Lyttonsville Purple Line Station while ensuring that the industrial zones west of the tracks are preserved in such a way that not only helps give Lyttonsville a greater “Sense of Place“, but also in a way that actually helps promote local businesses. For instance, current industrial businesses facades can be upgraded to help increase visibility and promote walk-in traffic from the newly established sidewalk network described in the draft Lyttonsville Sector Plan. 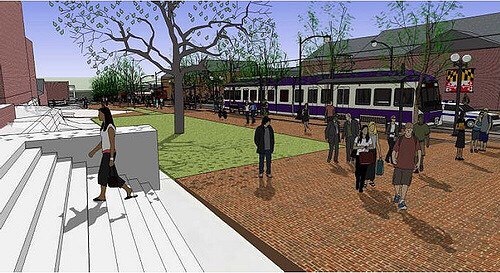 The Purple Line station itself could be the designated epicenter of the community by seamlessly creating an identity and functionality for an area that is currently plagued by speeding automobiles and trucks and unsafe pedestrian crossings. 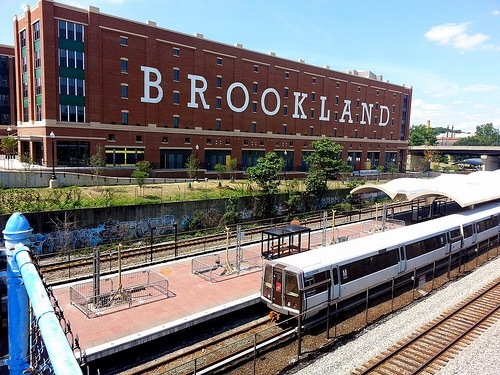 With industrial motifs and defining signage – the Lyttonsville station could mimic a branding similar to Brookland’s successful imposing design. 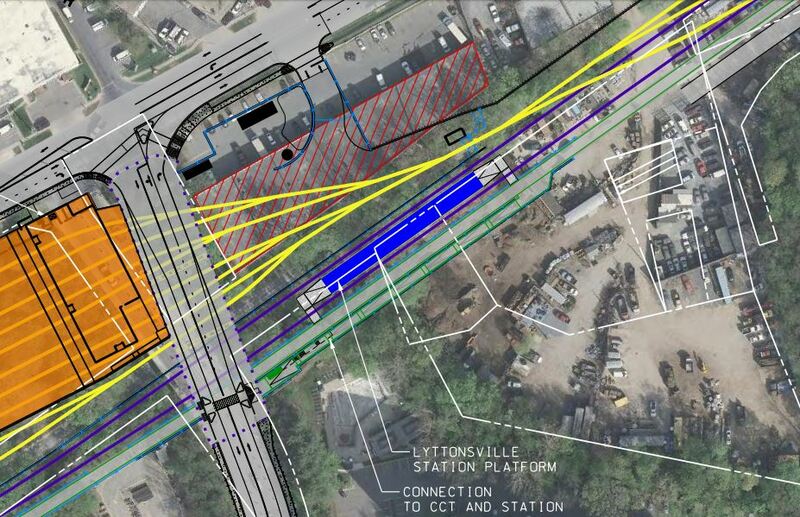 The Lyttonsville Station’s public plaza could incorporate open green space and areas for the community to gather while simultaneously creating a natural buffer between the station, industrial space and the surrounding existing single family dwellings. Water features that incorporate storm water management, multi-dimensional foliage and a design that creates organic layers between trains, drivers and pedestrians could give Lyttonsville a sense of place that is currently missing from the neighborhood. In addition to these possible enhancements, the general neighborhood could be improved in other ways. The current neighborhood is surrounded by light industrial and high density housing, with little retail nearby despite the signficant population living in the vicinity. 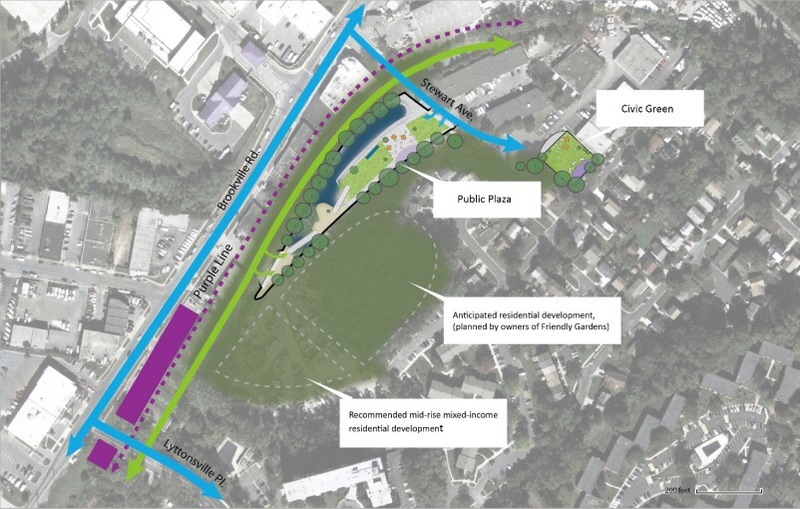 Under the Greater Lyttonsville Sector Plan, Montgomery Planning is proposing the rezoning of several parcels in the immediate vicinity of the coming Purple Line Station to permit appropriately-scaled mixed-use development. The largest tract being rezoned is a wedge of land northeast of the future station, on a wedge of land between Kansas Avenue and the Purple Line tracks (currently the abandoned right-of-way of the B&O Georgetown Branch). This parcel of land, including the cul-de-sac of Stewart Ave which is to be closed when the Purple Line opens, is about 6 acres in area (~263,000 square feet). Most of the land is currently occupied by a few warehouses and light industrial buildings. Under the new sector plan, this area is proposed to be rezoned to mixed-use, providing an opportunity for new housing and neighborhood retail. Below is a rough rendering of what buildings the scale of townhomes would look like facing Kansas Avenue. Today, connections between Forest Glen and Lyttonsville are limited and there is little reason to travel between the two communities. This will dramatically change in the next 5 years when residents of both communities will be able to visit potential neighborhood-based retail and Purple and Red Line transit options. For instance, right now many residents are driving to other retail zones outside of their neighborhoods in downtown Silver Spring and Wheaton in order to enjoy larger grocery stores and other desirable retail such as coffee shops and family restaurants. New development at both stations could serve a population of almost 16,000 residents with enough amenities that residents would not have to travel very far from their homes just to grab a bite to eat or run a simple errand. The impact on local traffic would not only be significant but many residents have already said that they would walk or bike to some of the proposed retail. 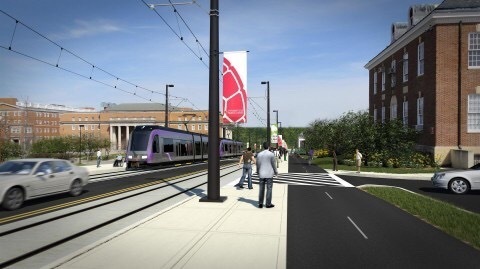 One of the more least discussed benefits of the Purple Line will be its direct connection with the University of Maryland campus in College Park, MD. 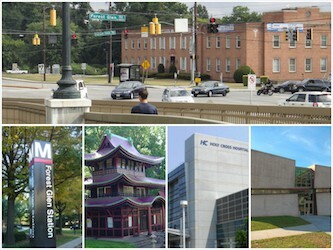 University of Maryland’s flagship campus has gained enormous popularity in recent years and with direct access to the traffic-plagued campus, the Lyttonsville station will definitely be an asset to both Lyttonsvile and Forest Glen residents as well as future students as the community grows. With 4 campus stops, both neighborhood residents will have access to various parts of the 1,250 acre campus within 25 minutes once on the light-rail system. This also includes access to sport arenas for Terp football and UMCP’s popular NCAA basketball team. With a large amount of employers and a plethora of retail and restaurants, the transit connection to Bethesda and Chevy Chase also has numerous benefits. With an approximate transit time of about 7 minutes, Lyttonsville and Forest Glen residents will have unprecedented access to the business and retail destinations that normally take significantly longer travel times. Lyttonsville and Forest Glen represent the future of Silver Spring. They both remain the last large pieces of land that can be developed around transit systems – both inside and outside of the Beltway. How these two communities develop and how valuable land is utilized remains to be seen. Undoubtedly, the potential for a model of smart growth is not only possible, but desired by many residents. Today, Montgomery County residents are engaged and want walkability, safety and a viable future that supports all factions of their diverse community, particularly as the greater Washington D.C. Area continues to grow in unprecedented ways. With these two communities set to evolve in ways not seen since the days of their own inception, Forest Glen and Lyttonsville have to decide their own fate for future generations to come.